If you own a Lake Shore gaussmeter or Hall probe, please note that we recently introduced a new priority service in which we offer a guaranteed two-day turnaround on recalibration once the instrument or probe is received by us. Other than turnaround time, the priority recalibration process is no different than our standard recalibration service. 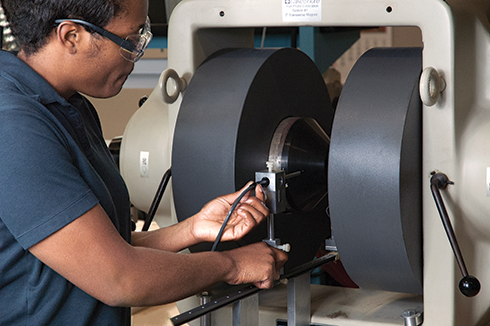 Probes undergo the same point-by-point calibration and gaussmeters receive the same electrical/electronic adjustment to ensure they are calibrated to the performance specifications of a new product. As with every device recalibrated and returned to the owner, a certificate of calibration is included, indicating that the instrument or probe has been recalibrated to a standard traceable to an original NIST standard. For priority recalibration pricing and to take advantage of this service, please contact service@lakeshore.com.